I’m homeschooling my third (and final) child through 3rd grade. My next youngest is in 10th grade. Here’s the thing…I’m tired. Tired of all the time it takes to plan the piecemeal approach to teaching language arts, that is. I used to teach in the public school system and in homeschooling my older two children I searched and searched for a thorough language arts curriculum that was strong in the foundations of phonics, spelling and grammar like I taught in the classroom. Most of the programs I found either required way too much preparation on my part, only offered practice worksheets with no real instruction, lacked severely in their scope and sequence, or left out systematic instruction of foundational rules altogether. When phonics, spelling and grammar are taught without strong foundations in the elementary years, it’s harder to be wonderfully successful in deep reading and fabulous writing in the middle and high school years. It’s comparable to trying to have great success in algebra and calculus without ever understanding the mechanics of addition, subtraction, multiplication and division. 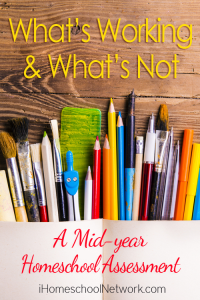 Over the years, I found myself jumping from one curriculum to another – and piecing bits of this with parts of that to try to build one complete, solid language arts program. While I think I did a decent job, I simply don’t want to do that anymore. So began last summer’s search for the be all and end all of foundational language arts curriculum to set my son off on the right foot without all the effort on my part. 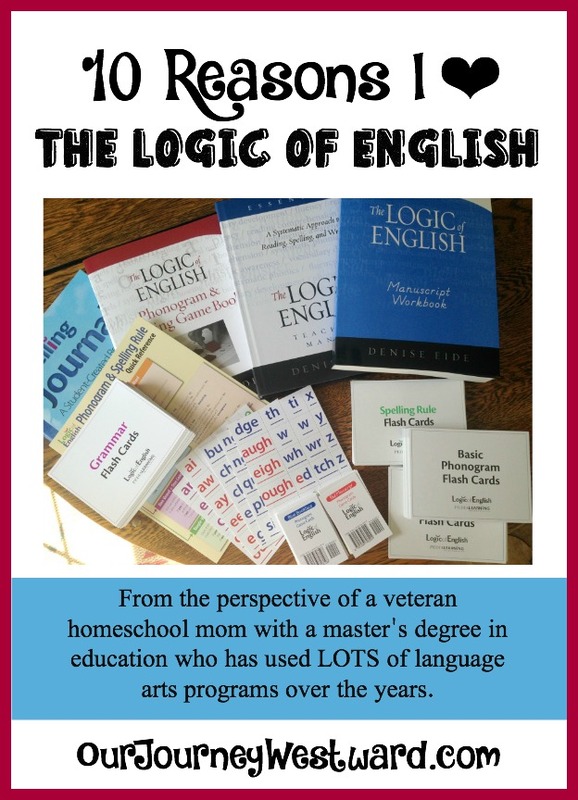 I received the Essentials Program of The Logic of English free in exchange for this review. As always, all opinions are completely my own. Affiliate links are included in this post. Honestly, I had never even heard of The Logic of English before. Probably because it’s not a program mentioned much in Charlotte Mason circles. But after seeing the tour through a lesson and going through several samples, I was absolutely sure this is exactly what I’ve wanted and needed all these years. 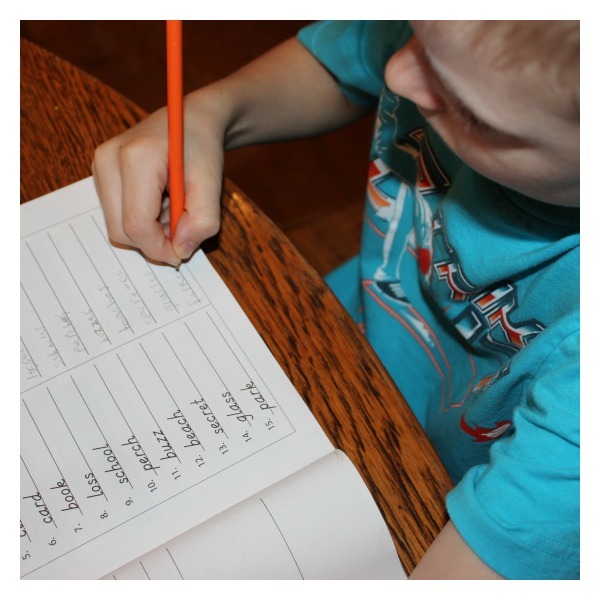 The program not only covers phonics, spelling, and grammar, but vocabulary development, handwriting and writing, too. 2. The lessons are systematic. This kind of systematic teaching slowly builds knowledge that grows into a strong and broad understanding before long. This same type of systematic building takes place in each and every part of this book – for phonics, spelling, grammar, and writing! 3. There is consistent review. Just like it’s important to review math facts to keep your skills up, it’s important to review language arts “facts,” too. The review built into The Logic of English isn’t monotonous, though, because it’s woven throughout. Your child may review rule flashcards one day, but write words that follow those rules in sentences the next day. He might play bingo with the rules another day, then demonstrate an understanding of the rules during dictation yet another day. I’ve been SO pleased to see how this consistent, unobtrusive practice has translated to Eli’s everyday work. The smooth, card stock flashcards are organized by phonograms, spelling rules, and grammar rules. As you learn a new rule, you add that flashcard to the pile of other rules you’ve already learned. At least once per lesson (see how lessons are organized below), you will review each of the three sets. In turn, children quickly begin to memorize the rules. 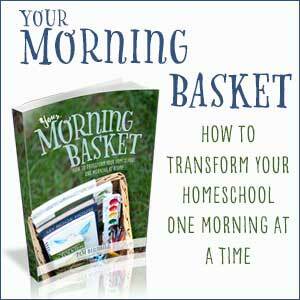 Classical homeschoolers have long known the benefits of memory work. 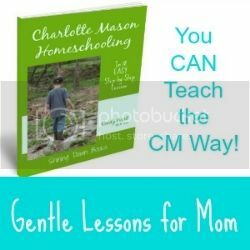 Charlotte Mason homeschoolers have, too, it’s just that we tend to memorize poetry and Bible verses before spelling and grammar rules. There is good to come from all memory work! 5. The lessons are short. While we may only focus on phonogram mini-lessons for a couple of days, the activities often integrate all the language arts. For example, when learning about the sounds of long a (a, ai, ay), the activities will likely have us working on spelling, grammar, writing AND handwriting at some point. If not that day, the next for sure. Once we get through all 30 lessons on level 1, we will start back at the beginning for another round of lessons on a higher level. That sounds monotonous, but it solidifies the spelling and grammar understanding as your children dive into deeper and harder work the 2nd time through. And then once more for level 3 of the curriculum. 6. The lessons don’t waste our time. 7. There are plenty of options to meets various learning styles. Just because the lessons are short, doesn’t mean the program moves too fast before children have a chance to pick up the new concepts. Besides the consistent review I’ve already spoken about, there are plenty of additional practice activities suggested when a certain concept doesn’t stick right away. 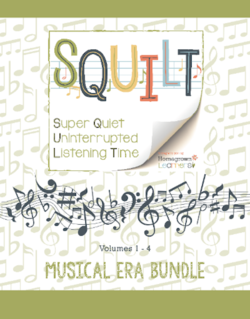 There is enough visual, auditory, hands-on, and written stimuli in this curriculum to meet just about every learning style. While not every activity will meet every learning style, there is always an option for extra practice that will. 8. We aren’t working on the same thing every day. Praise the Lord. I’m mean, seriously, who wants to do the same thing over and over again every day? Around here we get SO bored with curriculum that follows the same model day in and day out. With The Logic of English, you will build certain habits over time, but no two days in a week ever look the same. 9. Everything I need is included – with clear directions. (4) hardbound teacher’s guides with directions that are laid out very clearly. You know what to say, you know what flashcards you need, and you know the activities to complete. 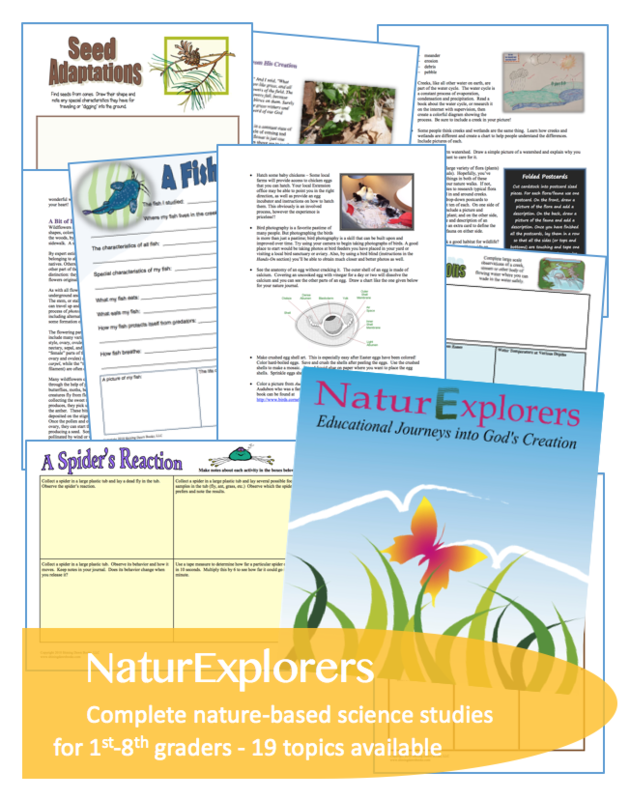 (4) softbound student workbooks, which are also laid out very clearly with simple directions for your child to follow. 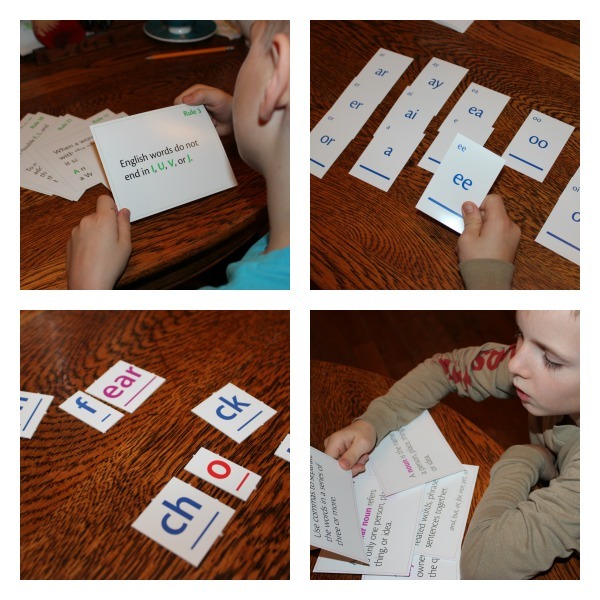 Sets of flashcards for phonograms, spelling rules, and grammar rules. Game cards and tiles for various games suggested for hands-on learning. A game book that includes simple directions for the various games suggested. A quick-reference chart to the phonograms and spelling rules. A spelling journal to collect a list of commonly misspelled words. 10. We can go at our own pace. While the teacher’s guide lays out the lessons wonderfully, there is no requirement about how much to teach in one day. And that’s a GOOD thing! We go until I see that Eli has soaked in about all he can handle for a day. (Remember, that’s in the neighborhood of 20 minutes.) Then, I add a pencil mark in the teacher’s guide to remind me where we stopped and we pick up there again the next day. And, Charlotte Mason Fits in Where? Really, The Logic of English fits in with the Charlotte Mason style more that you might imagine. Short lessons, copywork, dictation, and memory work are integral to the program. The copywork, dictation and memory work might not be quite as lengthy as some of you use with your students already, but you could easily add a bit more of each of these to your week if you like. Many of you know I’m not a huge proponent of early grammar instruction and you may think I’m stepping on my own advice by using this curriculum. That’s not true. I do believe in grammar instruction at least once between 3rd-5th grades, then once (very thoroughly) in middle school and once (very thoroughly) in high school. If Eli and I complete grammar now with The Logic of English, we shouldn’t need to pick it up again until early middle school using another favorite, Easy Grammar. Now, I’d love to hear your thoughts! Have you used The Logic of English? Do you have a favorite thorough language arts program? Thanks for reviewing this curriculum, I’ve never heard of it. It’s looks awesome. Currently, we’re using AAR level 1 and my son, who has had a very hard time with phonics, is flying through and loving it. Could I leave out the phonics of LOE or is it integral to the rest of the curriculum? You really can’t leave anything out when using The Logic of English. It all flows from one thing to another, so leaving something out would likely be hard to overcome. The phonograms (phonics) part works hand in hand with the spelling lessons, too. I hope this helps! I currently use the Foundations LOE program and we LOVE it! So glad to see a review, many people haven’t heard of this. I agree that it is so thorough yet short and varied lessons really help to keep my kiddo engaged. We will definitely be using the Essentials program in the future. I’m not familiar with Spell to Write & Read. I’m hoping someone else might chime in with an answer for you! I’m really interested in this curriculum, I see that they have a second edition that’s really expanded but since now there are two levels it’s twice as much as the one you reviewed. Do you think it’s worth it? Hmmm…I really wish I had a copy of the new versions in front of me. When I posted my review, I had no idea there would be a revision with two volumes. If I’m reading correctly, toward the bottom of their product page in the Q&A section it says the edition I reviewed is perfectly fine (and still currently available), but the new versions offer several extras. I have to admit, I’m a tad confused about whether or not someone really needs the 2nd volume?? Is it necessary or an optional add-on?? At any rate, I’ll be very honest and tell you that I would likely not pay nearly $300 for ANY curriculum – even considering how much I love the Logic of English. The only exception I might make is if I knew I’d be using the curriculum with more children down the road and would only need to purchase additional workbooks for them. Sorry I’m not more help. They’re very responsive when you ask a question using their contact form. I’m sure they would be very honest when answering you about whether or not you should go for the old or new version. Are you able to compare LOE with AAR?? AAR is what we are currently using but I just don’t think it’s sticking with the kids. I have a 4th/2nd graders. I do not feel like my 4th grader received a strong foundation due to me switching curriculums. Trying to make up for lost time. She can read fairly well, she’s just not very confident yet. Unfortunately, I’ve never used All About Reading. Plus, the Logic of English set I’m using isn’t their foundational reading program – but the second level which focuses more on phonics, spelling and grammar. Let’s hope someone who reads this will have an answer for you! I might even pose the question on my Facebook page to see what kinds of answers we can get. It’s nice to read this review from a Charlotte Mason fan. I favor the CM style and wondered how this curriculum would work in our family. This review helped out quite a bit. I am still new to homeschooling and was curious about one thing. After you finish LOE, what do you do for language arts until middle school? Eli and I have been taking LOE slowly – adding other various language arts activities into our week instead of this every single day – so we have been using it for nearly two years. We should finish by the end of Feb. For the remainder of this year, I will keep up with the “other” things – a little creative writing time, narration, copywork, and typing practice. I will also add in a tad bit of paragraph writing instruction, vocabulary activities, and dictionary & thesaurus practice. I don’t have 5th grade language arts planned out just yet, but I’ll likely use a combination of Intermediate Language Lessons, my Living Literature Grammar Packs, and Spectrum Language Arts. I should note that LOE changed the format of this program and I don’t know how comparable the new books are to what I have. In other words, LOE may or may not be enough material to last two years now – or it may be used even longer. If I were you, I’d send them a quick email inquiry. They have always been very quick about responding. FWIW, the new edition of essentials combines the game book directly into the teacher’s manual, so you don’t have to cart both books around. Also, the program has been more clearly structured with 5 sections per lesson so that you’re not splitting 3 sections over 5 days. The spelling and grammar is also levelled, A, B and C so that you use the program over 3 years (or less if your child tests into level B or C). Morphology has also been expanded to assist in vocabulary development. Review lessons are still included but are no longer numbered, so there are now 30 teaching lessons and reviews A-J. Because this is a lot of extra content directly in the teacher’s manual (rather than in separate books or lists for online download) the manual became prohibitively large. She split it into two volumes for ease of use. Volume 1 teaches the first 15 lessons (semester 1) and volume 2 has the other 15 (semester 2). Have you used All about spelling? My 2nd grade son has done level 1 this year and I am looking into using Logic of English in 3rd. He is my last child to homeschool too and I am a little tired of using AAS and other curriculum. Would it be confusing to go from AAS to this or are the rules similar? What else would you add to this program for language arts besides narration and reading that you mentioned. More writing? Thank you! I too love LOE and started with foundations. My question for you is this…. Do you recommend starting essentials at age 7 or 8? My daughter turned 7 in March during her homeschooling 1st grade. Foundations worked on some difficult spelling concepts with adding vowel suffixes, exception rules etc, that I think are complicated for a fist grader to master. I purchased Essentials 2nd addition volume 1 and they didn’t address some of those more difficult spelling rules combined with adding suffixes (13, 1, 2, 15, 16, 12 and doubling the last constanant when adding suffixes). The foundation workbook was so good at practicing these concepts. I’m hoping volume 2 2nd addition covers them again and if they don’t, I may want to repeat Foundations C and D so that my daughter hammers in these important spelling concepts. 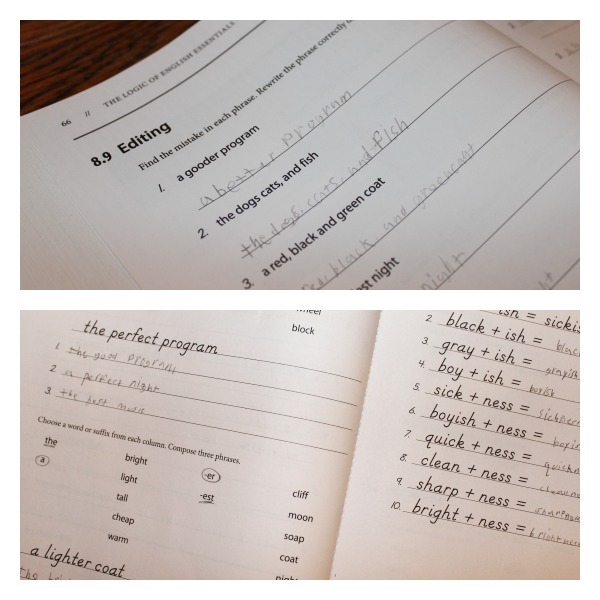 I was disappointed in the new workbook when touching on plurals (adding s vs es). The foundations workbook did a better job. Most all of the workbook examples in Essentials just added s not es to make plural and didn’t cover exceptions again like potatoes, tomatoes, etc). It looks like Essentials 2nd addition volume 1 does repeat most concepts but not all or enough to work on the more difficult concepts. I believe you have Essentials 1st addition which I have not seen so maybe I will see this again once volume 2 comes out. Does Essentials 1st addition work on what I described above? Your response was very helpful. I kept finding references to 7+ or 2nd grade so I was confused. Can you tell me how long it took you to complete Essentials edition 1? 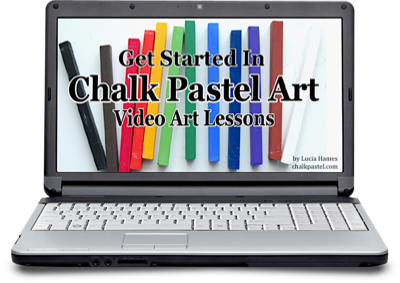 I’m not wanting to overlap Essentials with a writing program and some start fairly early. I also don’t want to feel rushed through Essentials. We took two years to get through it – 3rd and 4th grades. We only used it a few days a week, though, and did some other language arts things the rest of each week. I’m not at all sure how the 1st edition compares to the 2nd in age recommendations, though. 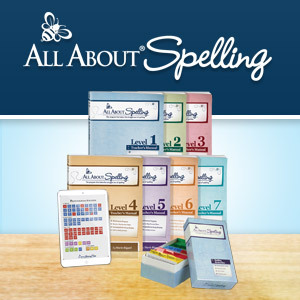 Just wanted to ask you if you have any thoughts….my daughter will start 3rd grade this coming school year, and last year we finished All About Spelling through Level 3 and did most of Primary Language Lessons. 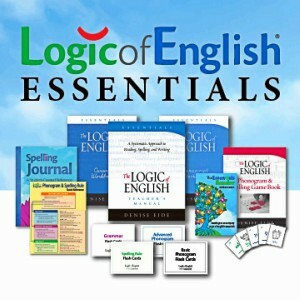 I’m trying to plan our language arts for 3rd grade and was thinking of doing Logic of English, and Intermediate Language Lessons, and hopefully adding some of your grammar packs in about middle of the year. Since you have experience with Logic of English, do you think this is too much for language arts for 3rd grade? Or do you think I will have all necessary things covered using these things? Thank you so much for any thoughts!!!! Our biggest concern is prep time. We have previously used a curriculum that took way too much prep time before even giving the lessons. Does Logic of English require a lot of prep time or can we just open the curriculum together with our son and dive right in? Really appreciate your review and the comments above. We used LOE Foundations B for K as my son was an early reader on his own and are doing C and D for 1st grade this year. My concern is whether to go straight into Essentials next year and if not, what to do until I go back to Essentials for 3rd grade? He is only 7, and I hope to start Foundations A with my next kiddo in K next year. I love that LOE is mostly open and go, but it is my heaviest 1:1 subject that the other kids can’t participate in and I’m hesitant to do 2 kids in it simultaneously. Any thoughts? If I have a gifted 6 yo, who has had some spelling instruction (is a natural speller) and reading level is very high, do you think LOE Essentials would be a good fit? I’m hoping to use the 2nd ed. for 6yo and 8 yo since there are three levels. It’s hard to say, Sarah. It’s quite possible LoE would be a great fit. 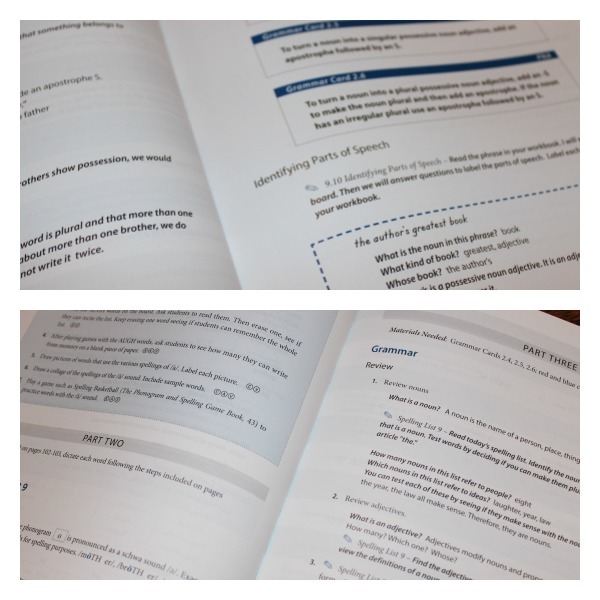 It covers spelling rules in detail, as well as some pretty significant grammar, along with a little writing. A natural speller may or may not need explicit teaching of spelling rules. I think spelling rules are always great to teach a child, but some children balk at the “over-teaching” if rules seem to be understood intuitively. However, words will become more difficult to spell and read through the years, so I tend toward offering a solid instruction no matter what. On the other hand, the grammar found in LoE is quite intense for just about any 6yo I’ve ever met. In fact, by the end of the curriculum, there were a few things that were still a bit confusing for my 10yo – like identifying objects of the preposition and nouns of direct address. It’s an amazing program for introducing grammar, but even advanced learners may not click with all of the concepts. You could always go through the curriculum once and just do the spelling portions, then return to it in a couple of years to pick up the grammar lessons.